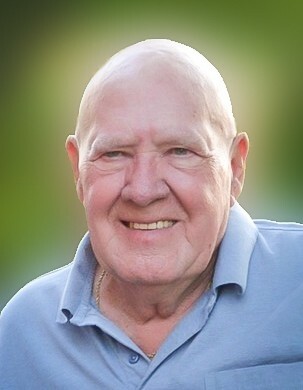 Mr. Henry “Graham” Walser, 84, of Lexington, NC, passed away unexpectedly on Thursday, April 11, 2019, as a result of injuries sustained in a lawn mower accident. Graham was born in Lexington on October 3, 1934, to the late Claude Graham Walser and Ethel Frances Slaydon Walser. Graham enjoyed fishing in his early years and playing golf at Wilshire Golf Club. He also drove a race car at Bowman Gray Stadium in the late 1950’s. Graham’s father started Claude Walser & Sons Heating and Air Company. Following his father’s passing, Graham and his brother took over ownership and renamed the company to Walser Heating & Air Company and worked together until retirement. Graham was an avid sports fan and especially enjoyed watching the Atlanta Braves, NASCAR and golf. He enjoyed cooking in his later years at “The Cook Shack.” In addition to his parents, Graham was preceded in death by his wife, Peggy Ree Walser. He is survived by his children, Dawn Walser (Sherri Samples) of Arcadia and Reggie Walser of Winston-Salem; grandchildren, Tiffany Everhart (Tracey) of Lexington, Shane Beauchamp of Winston-Salem, and Ebony Garner (Steven) of Arcadia; two great-grandchildren, Tori Everhart of Raleigh and the love of his life, Pilar Garner; one brother, Wayne Walser (Jane) of Lexington; one sister, Lane Hill (Charles) of Lexington; his long-time companion and special friend, Margaret Link of Arcadia; and several nieces and nephews. Funeral services for Graham will be held at 2:00 pm on Tuesday, April 16, 2019, at Enterprise Moravian Church with Rev. Arkon Stewart officiating. Interment will follow at Reedy Creek Baptist Church Cemetery in Lexington. The family will receive friends from 6:00 pm until 8:00 pm on Monday, April 15, 2019, at Hayworth-Miller Silas Creek Chapel and at all other times at Graham’s residence on Mt. Olivet Church Road in Lexington. The family is accepting flowers or memorial contributions may be made to the donor’s choice.